The principal Japanese transfer pricing legislation is Article 66-4 of the Special Taxation Measures Law (the Law) and Article 39-12 of the Enforcement Order thereof (the Order). For a taxpayer who files a consolidated tax return, Article 68-88 of the Law and Article 39-112 of the Order are applicable. While they are not legislation, the National Tax Agency of Japan (NTA) published detailed interpretations in respect of these statutory provisions in Chapter 12 of the Basic Circular of the Law (the Circular) and in the Commissioner's Directive on the Operation of Transfer Pricing (the Directive), under which the transfer pricing legislation is enforced. The Japanese transfer pricing rules only cover income tax on corporations (under the Corporation Tax Law), and do not cover individuals or trusts (with certain limited exceptions).2 The rules are applicable to transactions between a Japanese corporation (or a foreign corporation subject to the Japanese corporation income tax) and its 'foreign-related corporation' (as defined by the Law). A 'foreign-related corporation' is defined, in essence, as a foreign corporation, controlling, controlled by or under common control of a Japanese corporation (i.e., a parent–subsidiary or brother–sister relationship), as measured by 50 per cent or more direct or indirect ownership, or by effective control through officers, business dependency or finance. The Law and the Order spell out a set of transfer pricing methodologies that effectively follow the OECD Transfer Pricing Guidelines (OECD Guidelines). Specifically, the Japanese transfer pricing rules were overhauled in 2011 in response to the amendments to the OECD Guidelines in 2010, confirming the prevalence of the transactional net margin method (TNMM) as well as introducing the 'most appropriate method' rule and the 'range' concept. The 2013 amendment to the Order adopted the Berry ratio as another net profit indicator, in line with the OECD Guidelines. In 2016, in line with Action 13 of the BEPS project, the Japanese government introduced new legislation under which it adopted the three-tiered documentation approach, consisting of a master file, a country-by-country report (CbCR) and a local file. The Japanese transfer pricing rules cover 'foreign-related transactions' conducted between a Japanese corporation and its foreign-related corporation, which cover any types of transactions that include, among others, purchases or sales of inventory or other property, leases, provision of services, sales or licensing of intangible property, and borrowing or lending of money. While the Japanese transfer pricing rules cover any income transactions, they are unlikely to be applied to capital contributions, although it is not theoretically denied. For example, when a Japanese parent company was deemed to have received shares in its Thai subsidiary in excess of the value of the new capital money that the parent contributed, the NTA invoked the rules for 'gift', not resorting to the Japanese transfer pricing rules, which was affirmed by the Tokyo High Court judgment, dated 24 March 2016. In 2016, the new documentation rules introduced in line with Action 13 of the BEPS project adopted the contemporaneous documentation requirement, under which taxpayers need to prepare a local file by the filing date of a final corporation income tax return, which is within two months following a fiscal year end (or later if an extension is granted). The foregoing new documentation rules for local files are applicable for the fiscal years that begin on or after 1 April 2017. The new legislation adopted the three-tiered documentation approach, under which a separate master file and local file as well as a CbCR are required. Any Japanese corporations and foreign corporations with permanent establishments in Japan that are a constituent entity of a multinational enterprise (MNE) group with total consolidated revenues of ¥100 billion or more in the previous fiscal year (specified MNE group) are subject to the foregoing documentation rules. Such corporations must file a notification for their ultimate parent entity, a CbCR and a master file with the Japanese tax authority online (e-tax). A local file is mandated for transactions with a foreign-related corporation, where the sum of the payments and receipts is ¥5 billion or more; or the sum of the payments and receipts for intangible transactions is ¥300 million or more, in the previous fiscal year. Therefore, relevant companies must prepare a transfer pricing file every year (as long as the foregoing conditions are met) even if no circumstances change. In a master file, a taxpayer is required to report the items as described in Annex I to Chapter 5 of the revised OECD Guidelines, which include a description of the MNE's businesses, intangibles, inter-company financial activities, and financial and tax positions. In a CbCR, a taxpayer is required to report the items as described in Annex III to Chapter 5 of the revised OECD Guidelines, which include an overview of income, taxes and business activities by tax jurisdiction, and a list of all the constituent entities of the MNE group per tax jurisdiction. In a local file, a taxpayer is required to report the items as described in Annex II to Chapter 5 of the revised OECD Guidelines, which include a description of the local entity, description of foreign-related transactions (controlled transactions) and relevant financial information. The key component is the description of the taxpayer's foreign-related transactions, in which functions regarding the material foreign-related transactions must be provided (such as procurement of manufacturing services, purchase of goods, provision of services, loans, financial and performance guarantees, licensing of intangibles, etc), accompanied by a detailed comparability and functional analysis and an indication of the most appropriate transfer pricing method with regard to the transactions and the reasons for selecting the applicable method. As for the acceptable language, a master file can be prepared either in English or Japanese, and a CbCR must be prepared in English, while a local file must be prepared in Japanese. Although the Japanese government will provide the CbCRs to tax authorities in other jurisdictions in accordance with the conditions and limitations under the relevant tax treaties, it is not expected to publish CbCRs. Methods equivalent to those listed above are applicable to transactions other than tangible property transactions, namely, intangible property transactions, services transactions and loans or advances. the degree of comparability between the controlled transaction at issue and comparable transactions (including the reliability of the comparability adjustments). In recent years, the TNMM has been the most prevalent method in practice and accounts for 56 per cent of the mutual agreement procedure (MAP) cases completed by the Japanese tax authority in 2016. For service transactions, the cost-plus method is often used if no significant intangible property is involved. For loans or advances, the quasi-CUP method is often applicable by referring to the terms and conditions of similar transactions under similar conditions. For transactions involving intangibles, see below. The Japanese tax authority does not necessarily ask for discussions with witnesses within or outside the taxpayer group, including the taxpayer's customers. However, the taxpayer definitely needs the assistance of experts or professionals within or outside the taxpayer group, as demonstration of an appropriate transfer pricing methodology involves highly sophisticated economic analysis and extremely technical legal arguments. The Japanese tax authority does not use dawn raids for transfer pricing audits in general, as transfer pricing audits concern evaluation or judgement on pricing, not factual issues involving hiding or disguise. for exempt transactions (see below), submit documents 'important for calculating the arm's-length price' by the day designated by the tax examiner that comes within 60 days after the tax authority's request. the sum of payments and receipts for intangible transactions is less than ¥300 million, in the previous fiscal year. Under Japanese transfer pricing rules, for transactions involving intangibles, the following methodologies can be applied. For a licensing transaction, the quasi-CUP method is likely to be the most appropriate method as long as a comparable transaction can be identified. However, since each intangible asset has its own unique character and varies from others, it would be rare for it to be the most appropriate method, except where the internal comparable transactions are identified. In the context of licensing transactions, when only one party contributes to DEMPE (development, enhancement, maintenance, protection and exploitation of the intangible) of the subject intangible asset, and the other party's functions are simple, such as only manufacture or sale, the TNMM is likely to be the most appropriate method. In such case, the party not involved with the intangible asset will be tested, and it is necessary to identify companies comparable to such tested party, whose operating profits relative to sales or full costs, or Berry ratio, will be the net profit indicator (benchmark) for the tested party. The functional analysis should identify the relevant intangibles at issue, the manner in which they contribute to the creation of value in the transactions under review, the important functions performed and specific risks assumed in connection with the development, enhancement, maintenance, protection and exploitation of the intangibles and the manner in which they interact with other intangibles, with tangible assets and with business operations to create value. In respect of a transfer pricing examination regarding the licensing of an intangible asset, not only its legal ownership, but also the [respective] degree of contribution by the Japanese taxpayer and its Foreign Related Party to the creation, maintenance or development of the intangible asset (the “Intangible Creation”) needs to be taken into consideration. In assessing the degree of contribution to the Intangible Creation, functions respectively performed by the relevant Japanese taxpayer and its Foreign Related Party in the course of decision-making, provision of services, incurrence of expenses and management of risk for the Intangible Creation should all be taken into account. In the case of the Intangible Creation regarding a certain intangible asset that is likely to be developed to become a source of [excess] profit, the degree of contribution shall be assessed to be low when the relevant Japanese taxpayer or its Foreign Related Party only bears the expenses for the Intangible Creation. For example, if a certain party has made a decision with substantial discretion in conducting the research and development (R&D) services, and takes risks associated with the R&D activities, such party will be found to have significantly contributed to an intangible asset. If both parties are found to be involved in the 'creation, maintenance or development' of the intangible asset, the RPSM is likely to be the most appropriate method. Under the two-stage RPSM, the combined profits from the subject transaction are identified, from which 'routine profits' are assigned to each party based on the benchmark analysis (using companies comparable to each party). The 'residual profits,' which are produced by subtracting the foregoing routine profits from the combined profits, will be assigned to each of the relevant parties in proportion to the 'degree of contribution', which can be presumed based on the value of the intangible assets owned by the relevant parties, or the expenses paid for the development of the intangible assets. In the practice of the Japanese tax authority, however, the relevant expenses such as those for the R&D paid by respective parties are usually adopted as the parameters and the 'value' of the intangible asset is not used. For the sale of intangible assets, the Circular lists the quasi-CUP and quasi-cost-plus methods as candidate transfer pricing methods. However, it is extremely difficult and practically impossible to identify comparable transactions for the sale of intangible assets given the uniqueness inherent in each intangible asset. Therefore, if the arm's-length price of an intangible asset is at issue during a tax audit, such audit tends to become more controversial than otherwise. 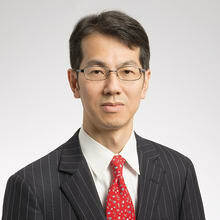 Although the revised OECD Guidelines suggests viability of the discounted cash flow method, the Japanese tax authority has not affirmed its validity, presumably because the method depends on specific models and assumptions adopted by a taxpayer that are prone to be subjective, possibly even arbitrary. However, the discounted cash flow method may be accepted to calculate an arm's-length price where no other appropriate method can be identified and the taxpayer can successfully convince the Japanese tax authority that the adopted parameters are appropriate in using the discounted cash flow method. Under Japanese tax law, the prevailing view is that the Japanese tax authority is not supposed to enter into a settlement with taxpayers, not only for transfer pricing cases, but also for any tax disputes; this is based on the idea that tax law should be applied impartially, without the tax authority exercising any discretion. However, in practice, the tax authority may suggest during the tax audit that a taxpayer voluntarily correct the original tax return to the tax amount that the tax authority indicates. The taxpayer may argue against the position suggested by the tax authority, and the tax authority may withdraw its position in whole or in part. After discussions, if the taxpayer and the tax authority agree on a middle ground, and the taxpayer makes a corrective filing in accordance with their mutual agreement, it will effectively close the case. Although this is not a 'settlement' in a legal sense, the end result is similar. Even if a settlement is reached for a certain fiscal year, it will not automatically be incorporated into an advance pricing agreement (APA). Therefore, if the settlement is acceptable, even if not desirable, to a taxpayer, an APA could be a recommended course of action to ensure that the tax authority will not take a more disadvantageous position to the taxpayer in the future. The Japanese tax authority's assessments based on the Japanese transfer pricing rules must be made within six years from the deadline of the filing of the relevant corporation income tax return. Within such period, the tax authority may review a transfer pricing filing without any other time limitations. Generally, a transfer pricing audit takes a significant amount of time, and may take one year, or even two or three years in some cases. When the Japanese tax authority makes an assessment by issuing a correction notice, the taxpayer has two options. The first is to seek administrative remedies, followed by judicial review (which can be initiated before the final resolution of the administrative remedies under certain conditions). The second is to seek competent authority relief from double taxation if a relevant tax treaty so provides. Generally speaking, with respect to a transaction involving a country where competent authority relief is effective, taxpayers tend to seek it. The Japanese tax authority has received a number of requests for competent authority relief (including APAs) with OECD member countries. Particularly with Australia, Germany, Korea, the United Kingdom and the United States, most of the requests have been successfully resolved by agreements between both relevant governments. In addition, the Japanese government has had APAs with non-OECD member countries including China, Hong Kong, India, Indonesia, Singapore, Taiwan, Thailand, Malaysia and Vietnam; however, with respect to competent authority relief with non-OECD member countries, precedents are relatively few. With respect to a transaction involving a country where competent authority relief is ineffective (even if a relevant treaty allows such relief) or not available in the first place, administrative remedies and judicial review will be the only practical option that the taxpayer may seek. In response to a transfer pricing assessment, when a taxpayer does not or is not able to seek competent authority relief, the taxpayer may resort to the administrative appeals process to dispute the assessment. The taxpayer is required to exhaust the administrative appeals process before seeking judicial review. In general, the administrative appeal consists of two steps: a request for re-examination, and an appeal to the National Tax Tribunal (the Tribunal). The taxpayer is able to choose to proceed with the entire process, namely, a request for re-examination, followed by an appeal to the Tribunal if the decision of the re-examination is unsatisfactory. Alternatively, the taxpayer is able to unconditionally skip a request for re-examination and file an appeal with the Tribunal directly. For a request for an initial administrative appeal, the filing period (either for a request for re-examination or for direct appeal with the Tribunal) is three months from the date of delivery of a correction notice. The Tribunal operates under the authority of the NTA but is a quasi-judicial institution that is supposed to be independent from the enforcement branch of the NTA. In an effort to secure impartiality, approximately half of the judges of the Tribunal are hired temporarily from private practitioners for two- to three-year terms. While the Tribunal's cases are mostly decided within a year, cases involving transfer pricing may take more than a year, given their technical nature and complexity. During the 2000s, the Japanese tax authority tended to apply the RPSM to cases involving valuable intangibles, resulting in corrections being made for a huge amount of income. However, the courts have taken a stringent position in finding comparability between a tested party and comparable companies for the purpose of calculating routine profits under the RPSM, which was shown in the Tokyo High Court judgment, dated 13 May 2015, where Honda Motor Company Limited, a major Japanese automobile manufacturer, obtained a cancellation of a correction of ¥25.4 billion in taxable income. In the judgment, the court held that the tax authority's selection of companies comparable to the tested party (the taxpayer's foreign subsidiary) was illegal, based on the finding that the tested party was doing business where the tax incentives had been offered – specifically, in the Free Economic Zone of Manaus in Brazil – whereas the alleged comparable companies identified by the Japanese tax authority had been located outside the zone. The judgment is significant since it indicated that market conditions (including governmental regulations and interventions) are material in a comparability analysis. If a cross-border payment of interest or royalties is recalculated and decreased as a result of a transfer pricing correction, the transfer pricing correction has no effect on the underlying substantive transactions. Therefore, for example, even if a royalty payment from a Japanese licensee to its foreign-related corporation as a licensor is decreased for Japanese transfer pricing purposes, it will not oblige the Japanese licensee to receive the difference back from its foreign-related licensor, and the Japanese licensee is not eligible for a refund of any part of the withholding tax that was paid based on the original royalty amount notwithstanding the decreased amount of the royalty for the transfer pricing purposes. In addition to this, a reduced rate under a relevant tax treaty may not be available with respect to the amount in excess of the arm's-length price, which will result in additional withholding tax. However, if the Japanese licensee does choose to receive back the difference, under a certain clause in the Circular, provided that a certain report is filed with the relevant tax office, the amount that the Japanese licensee receives back will not be subject to the Japanese corporation income tax, while the analysis for the withholding tax set forth above will not be changed. There are no diverted profits taxes or similar taxes under Japanese law and no immediate proposals have been made for such taxes. Japan has an APA programme, which may be effective depending upon the counter-party countries (see above). Not only unilateral but bilateral APAs are available, and in practice, multilateral APAs are rare. In general, any transaction types or issues with foreign-related corporations can be covered by APAs. A taxpayer must submit to the relevant regional tax bureau of the NTA a proposed method to calculate the arm's-length price and the relevant materials to support the proposed method, for review by the relevant section of the regional tax bureau. The taxpayer needs to pay no user fees for an APA application. In respect of a bilateral APA, the competent department of the NTA will also review the proposed method and then forward the same to the counterparty of the tax treaty for consultation. The APA programme is independent from the Japanese tax authority's enforcement function, but is not independent from the competent department staff that handle other double tax cases. Roughly speaking, it often takes approximately two to three years to obtain a bilateral APA. According to the NTA, it took 29.1 months on average for a bilateral APA or MAP in 2016. In practice, APAs often cover five years. Rollback is also available. The key advantage of obtaining an APA with the tax authority is the avoidance of transfer pricing disputes in the future; the key disadvantages are that it is time-consuming and costly. In practice, transfer pricing adjustments do not affect value added tax ('consumption tax' under Japanese tax law), or import or customs duties. In 2015, there were 218 enforcements, corrections or amendments in respect of transfer pricing that were imposed or suggested by the Japanese tax authority, amounting to ¥13.7 billion, which represented a significant increase in number and considerable decline in monetary amount compared to 2005, where there were 119 enforcements, corrections or amendments, amounting to ¥83.6 billion, respectively. This shows that the investigations are now being directed to a wider range of companies, encompassing not only large companies but also small to medium-sized companies, while the amount involved in each case has become smaller, possibly due to the tax authority's more prudent approach. The Japanese tax authority tended to, in applying the two-stage RPSM to Japanese companies, assign considerably low operating profit margins to their foreign related-corporations on the grounds that they have only simple and limited functions, resulting in the assessment of a huge amount of income for the Japanese companies. This tendency received a significant blow after a series of cancellations ordered by the National Tax Tribunal and the courts. (See Honda Motors in Section VII.ii.) In recent years, the Japanese tax authority appears to have changed its strategy and adopted a relatively 'soft' approach, namely to incentivise taxpayers to comply with the transfer pricing rules; however, it remains to be seen if past aggressive enforcements will reemerge. The BEPS could significantly change transfer pricing in Japan. Before the introduction of the CbCRs, the Japanese tax authority had no effective measures to obtain information regarding the taxpayer's global tax position, which is necessary to assess the profit share per jurisdiction in respect of Japanese taxpayers. However, as the first CbCRs are due on or after 31 March 2018, depending on the taxpayer's fiscal year, the Japanese tax authority is expected to be keen to examine the CbCRs to find potential imbalances of taxable income per jurisdiction and identify revenue losses due to inappropriate transfer pricing so that they may pursue transfer pricing audits more effectively. 1 Shigeki Minami is a partner at Nagashima Ohno & Tsunematsu. 2 The Japanese transfer pricing rules cover individuals who are trustees for a trust treated as a corporation, or non-resident individuals doing business in Japan through their permanent establishments in Japan.